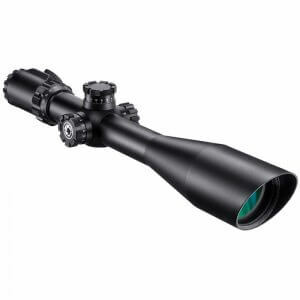 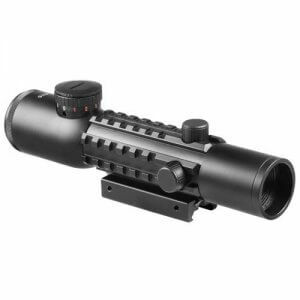 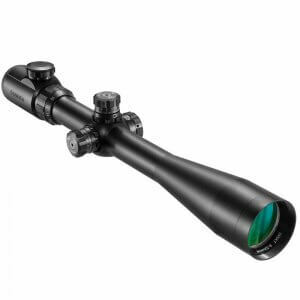 The Barska 1-4x24 IR Electro Sight Rifle Scope lets you add as many accessories as you need! 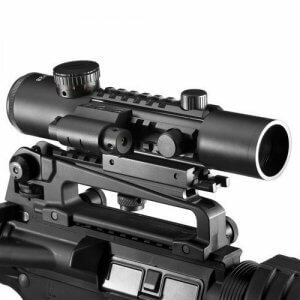 This Barska rifle scope features multiple integrated 7/8” Picatinny tactical rails which allow you to customize your scope with additional aiming accessories. 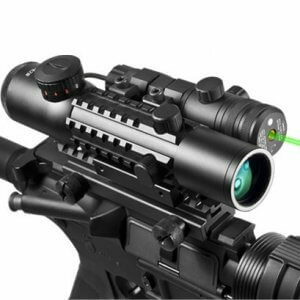 Barska Multi-Rail Electro Sights are designed specifically for tactical shooters that need a versatile scope for both short distance quick acquisition shooting and medium to long distance shooting. 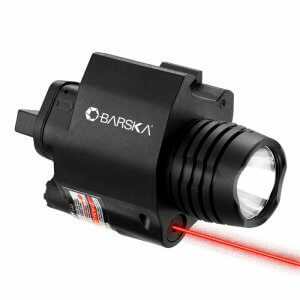 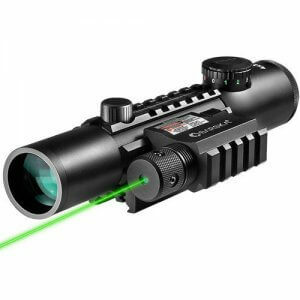 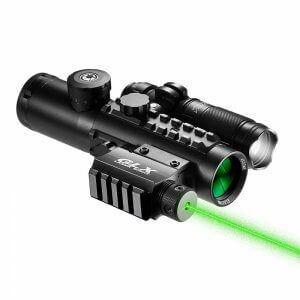 This Barska innovation lets you easily attach a laser sight, flashlight or secondary sight and use it in combination with the rifle scope. 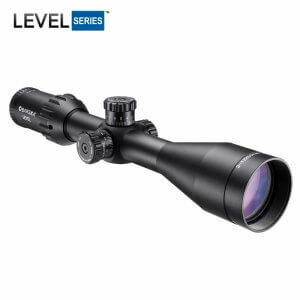 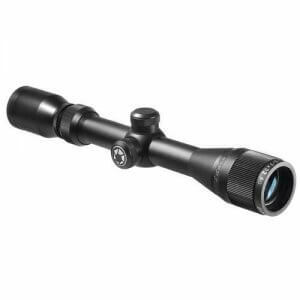 One ideal use for the scope's external rails is to attach a laser sight that is zeroed in at a short distance (50 yards) and then zero the scope reticle in at a longer distance (100 yards); this allows you to instantly shoot targets at two different distances. 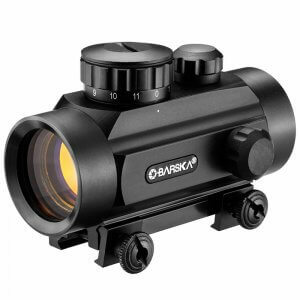 The Barska IR Electro Sight comes with a red illuminated mil-dot reticle.